MARIJUANA is legal and is not even classified as a drug. 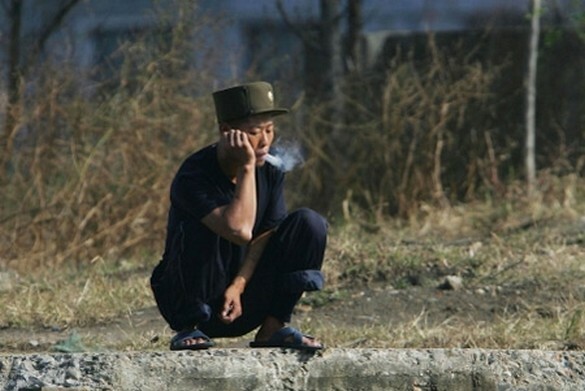 There is no taboo around smoking pot in North Korea. Many locals know the drug and smoke it regularly. The use and distribution of hard drugs like crystal meth is condemned by death penalty, yet Marijuana is reportedly neither classified as illegal or in any way policed. The herb of the bohemian and the free is not even considered a drug. As a result, it's the discerning North Korean gentleman's roll-up of choice, suggesting that, for weed smokers at least, North Korea might just be paradise after all. Six American soldiers ran to North Korea in 1962 and have lived there since then. "I was fed up with my childhood, my marriage, my military life, everything. I was a goner. 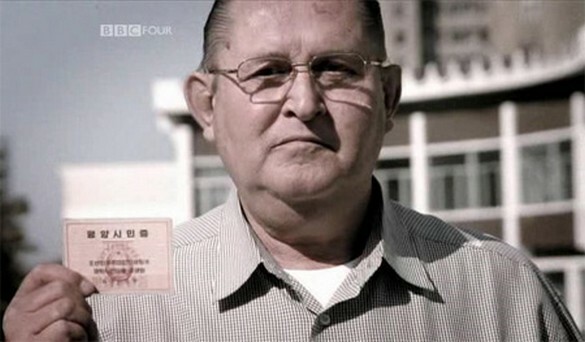 There's only one place to go," said James Dresnok, the last US defector alive in North Korea. In August 1962, he stepped into the minefield and crossed over to North Korea. Soon after his arrival, Dresnok met Larry Allen Abshier, another American defector. Eventually, there were four of them: Abshier, Jerry Parrish, Charles Robert Jenkins, and Dresnok. The men lived together and participated in several propaganda efforts on behalf of the North Korean government. They appeared on magazine covers and used loudspeakers to try to persuade more American soldiers at the border to defect. However, at first they did not wish to remain in North Korea indefinitely. In 1966, the four men tried to leave North Korea by seeking asylum at the Soviet embassy in Pyongyang, but were immediately turned over to North Korean authorities by the embassy. Afterwards, Dresnok decided to settle in North Korea and assimilate. He married a couple of times and is currently in failing health. North Korea is the world's only nation to currently have a captured U.S. Navy ship. On January 23, 1968, in international waters more than 15 miles from North Korea, the USS Pueblo, an electronic intelligence ship, was surrounded by sub chasers and torpedo boats, with MiG jets overhead. The sailors on the Pueblo were rounded up and put in prison camps. While the North produced propaganda footage showing fair treatment, the reality was much worse. The crew endured starvation and torture for nearly a year. Eventually, the North Korean government decided to release all crew members. 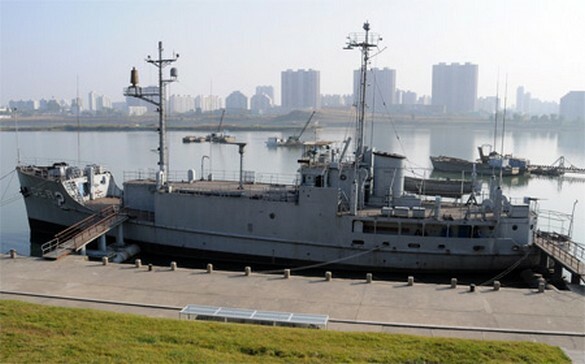 The Pueblo is still held by North Korea and remains the second-oldest commissioned ship in the U.S. Navy. North Korea is officially NOT Communist anymore. In 2009, references to Communism were removed from the country's constitution, and "Juche" became the official state ideology, replacing Marxism–Leninism, when the country adopted a new constitution in 1972. 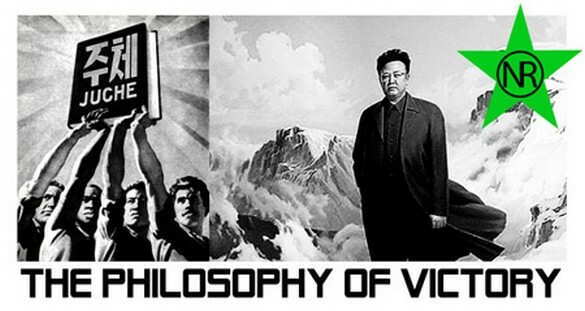 Created by Kim Il-sung, it states that the Korean masses are the masters of the country's development, with an emphasis on political, economic and defensive self-sustainability. It's not 2013 in North Korea. The year is 102! 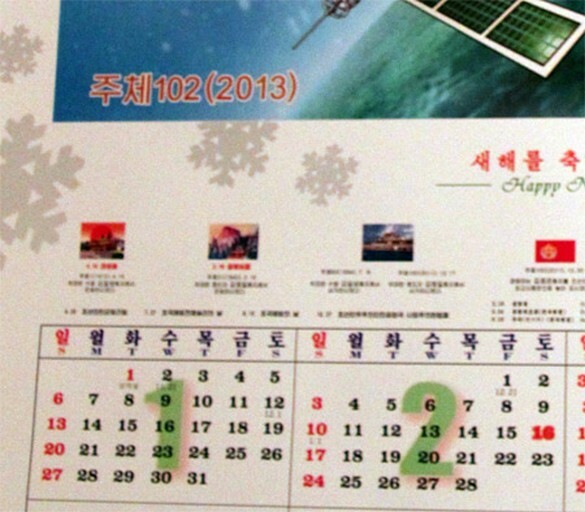 The Juche Calendar was introduced in 1997 and is based on Kim Il Sung's date of birth: April 15, 1912. This year is referred to as Juche 1 and the system works forward from there, while it maintains the Gregorian Calendar's traditional months and the number of days in a month. 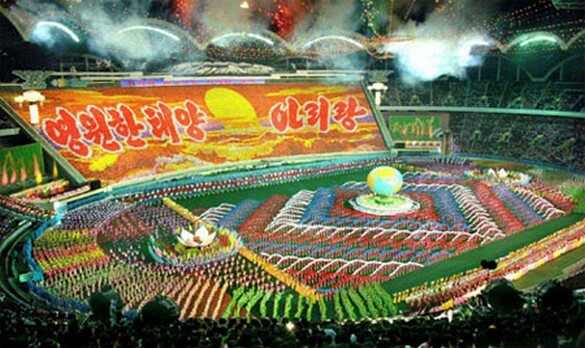 North Korea hosts the World's Largest Stadium, seating 150,000 people. Currently used for football and athletic matches, but most often for Arirang performances --a.k.a. "the Mass Games"-- the May Day Stadium can seat 150,000, the largest of its kind. 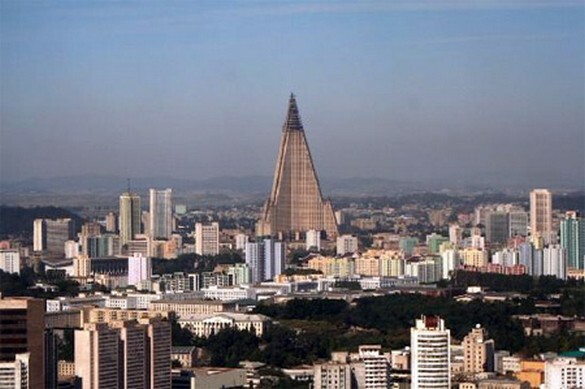 Located in Pyongyang, it was finished in 1989. In the late 1990s, a number of North Korean army generals implicated in an assassination attempt on Kim Jong-il were executed via burning in the stadium. 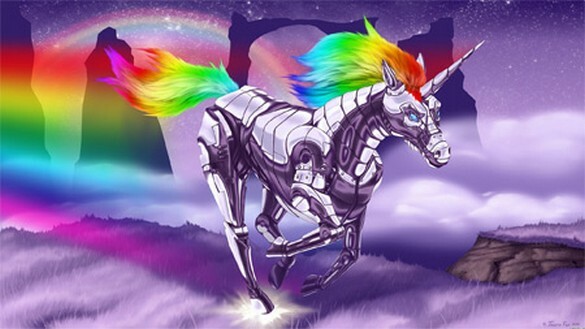 In November 2012, North Korean archaeologists claimed to discover a mythical unicorn lair belonging to King Tongmyong, founder of the ancient Korean kingdom. The announcement was made by the History Institute of the DPRK Academy of Social Sciences, which reported that the lair was found 220 yards from a temple in Pyongyang. "A rectangular rock carved with words 'Unicorn Lair' stands in front of the lair. The carved words are believed to date back to the period of Koryo Kingdom (918-1392)," the report said. "The temple served as a relief palace for King Tongmyong, in which there is the lair of his unicorn." There are 51 "Social Categories" ranked by their loyalty to the regime. Based on political, social, and economic background for direct ancestors as well as behavior by relatives, the "Songbun" --a North Korean system of ascribed status-- is used to determine whether an individual is trusted with responsibility, given opportunities within North Korea, or even receives adequate food. Songbun affects access to educational and employment opportunities and, particularly, whether a person is eligible to join North Korea's ruling party, the Workers' Party of Korea. On the border, there's a GHOST city to encourage South Koreans to enter. According to the Korean government, the village of Kijongdong, located in the North's half of the Korean Demilitarized Zone (DMZ), contains a 200-family collective farm, serviced by a childcare center, kindergarten, primary and secondary schools, and a hospital. However, observation from the South suggests that it's actually a ghost town, created to encourage South Korean defection. 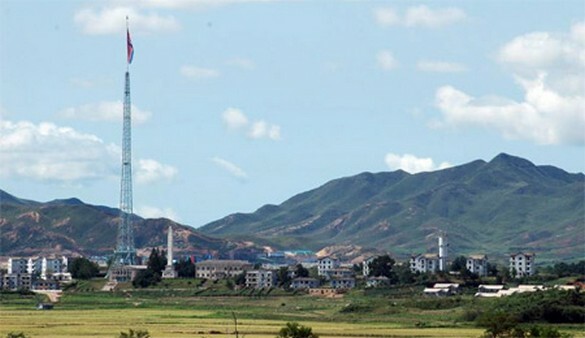 Until 2004, massive loudspeakers mounted on several of the buildings continuously delivered DPRK propaganda broadcasts relating the North's virtues in great detail and urging disgruntled soldiers and farmers to simply walk across the border to be received as brothers. Eventually, as its value in inducing defections proved minimal, the content was switched to condemnatory anti-Western speeches, Communist agitprop operas, and patriotic marching music for up to 20 hours a day. With 105 floors, the Ryugyong Hotel was designed to be the world's tallest hotel at the end of the 80s, but the construction was halted in 1992 as the country entered a period of economic crisis after the fall of the Soviet Union. Japanese newspapers estimated the cost of the hotel at $750 million, which is 2% of North Korea's GDP. For over a decade, the unfinished building sat vacant and without windows, fixtures, or fittings, appearing as a massive concrete shell. In the late 1990s, the European Union Chamber of Commerce in Korea inspected the building and concluded that the structure was "irreparable."